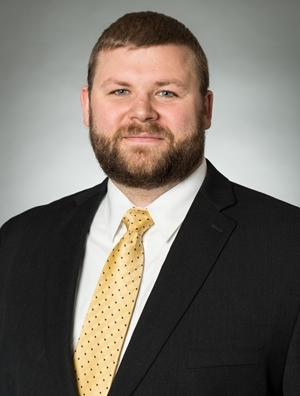 Dillon Durnford is a member of the firm's Intellectual Property Practice Group where he focuses on patent preparation and prosecution in the areas of electrical engineering, computer science, and business methods. He has drafted dozens of provisional patent applications, drafted non-provisional patent applications in diverse technologies including software, network security, digital cameras and video streaming, prosecuted domestic and international patent applications by preparing replies to office action, pre-appeal briefs, appeal briefs and instructions for foreign counsel, and performed clearance investigations, including preparing claim charts and written opinions of non-infringement. Prior to joining the firm, Dillon was a Patent Examiner at the United States Patent and Trademark Office (USPTO) for seven years. Dillon examined utility applications relating to a wide variety of technologies related to digital cameras, including: digital single lens reflex (DSLR) cameras, point and shoot digital cameras, camera modules for mobile applications, combined color and range sensing cameras, auto-focus algorithms, medical devices (e.g., endoscopes), image sensor array configurations, motion detection and/or correction, automatic geotagging of images based on GPS data, image processing hardware and software (e.g., automatically tagging images using facial recognition), and various other technologies.